High Quality Crash Repairs use and recommend the Sikkens range of paints for auto painting and resprays. In the universe of automotive finishes and refinishing, we’ve come a long way since Henry Ford famously said about Model T buyers, “They can have any colour they want as long as it’s black.”. The Sikkens car colour database we use now has more than 800,000 colour formulas. Car manufacturers are always looking for new ways to enhance their paint finishes, whether for visual appeal or for added durability and protection. It is our job to remain up to date with these technological developments and reflect them in our business strategies and workshop practices. Sikkens operate in 130 countries, they’re a subsidiary of the world’s largest manufacturer of paints / coatings, dedicated to one thing: Getting colour right. The level of training and support they provide to High Quality Crash Repairs gives us a competitive edge in our local Adelaide market. 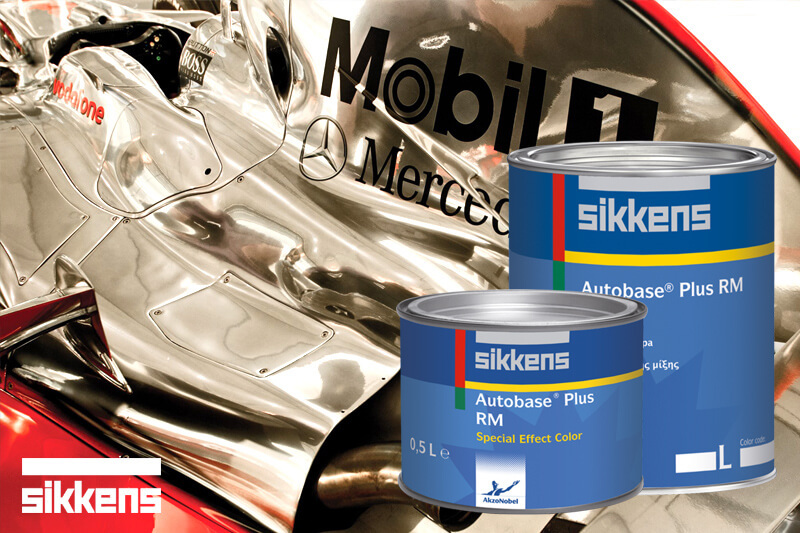 Formula 1 cars place huge demands on Sikkens paint and coatings, they must be low weight and have a fast baking time. Add to this colour consistency, reduced emissions, and the need to be visually striking. Research, development and innovation never stops. Sikkens refinishing systems are formulated to go on easier, in fewer coats and with less dry time, delivering a high gloss, durable finish. The Sikkens Refinish Assurance Plan is AkzoNobel’s guarantee that work done by qualified Sikkens shops will be free of material defects for as long as the customer owns the vehicle. Being without a car can be very inconvenient, therefore we offer 3 free courtesy vehicles, drop off and pick up and a 24 hour towing service if required. We wish to make your situation as trouble free as possible. The majority of our work covers insurance repairs, private repair work, restorations and re-sprays. We also cater to the special requirements of fleet owners.